This was a great week for yoga poses. There were several poses I hadn't done in a while (Legs up the wall pose and balanced tabletop pose) and I got to do another pose outside (warrior 3) which was great! 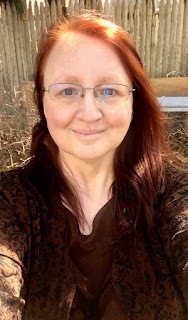 Tomorrow we start the April yoga challenge which will be a real challenge because it has poses I've never tried before as well as poses I absolutely know I can't do so there will be a lot of modifications! Day Twenty-Five March Yoga Challenge - Bound Angle pose (Baddha Konasana). I love this pose! It’s an amazing hip opener and I do it in my daily stretch. Eventually I want to have both legs down against the floor but that will take some work! 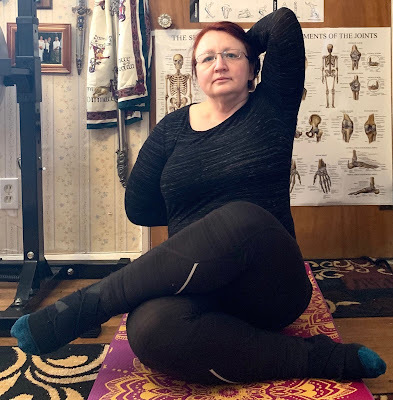 Day Twenty-Six March Yoga Challenge - Warrior III pose (Virabhadrasana III). It took me a while but I really like this pose now. It’s great for both strength and balance and always challenges me! 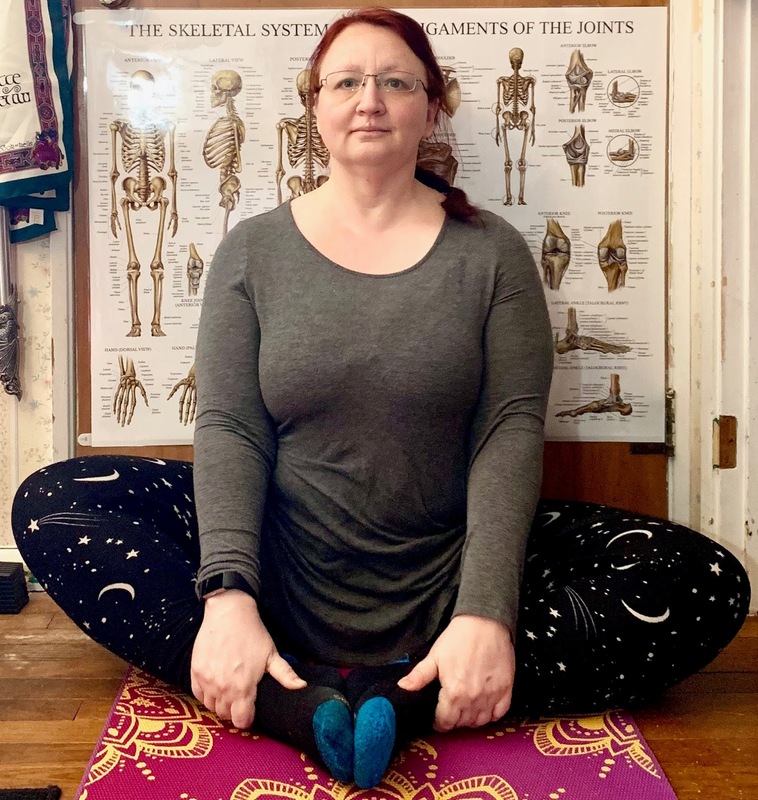 Day Twenty-Seven March Yoga Challenge - Cow Face pose (Gomukhasana). I like this pose. 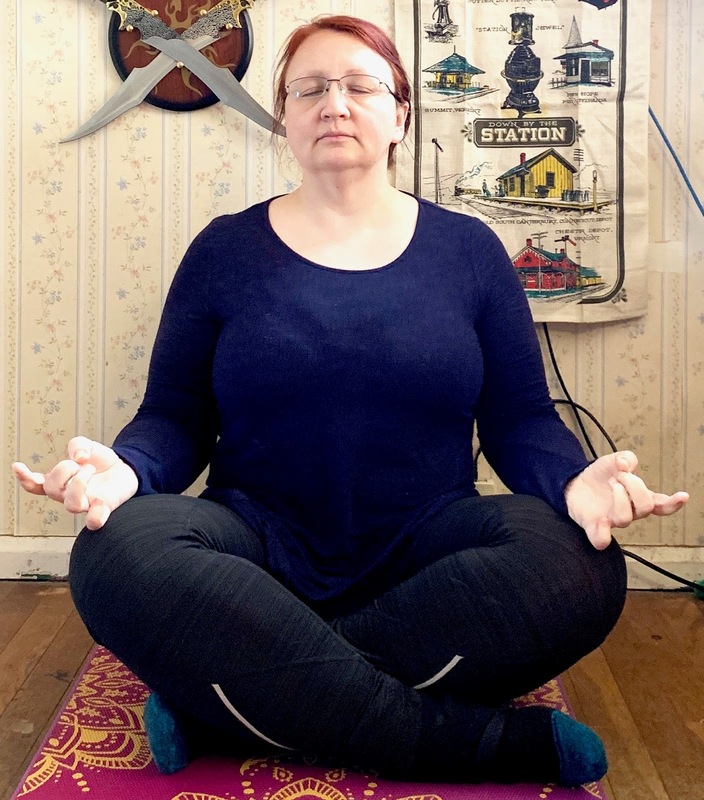 I’m able to have my hands touch behind me on one side of my body but not the other so I’ve been using a yoga strap to work on it. I’m also working on getting the upper leg to touch the floor during the pose. Day Twenty-Eight March Yoga Challenge - Easy pose (Sukhasana). This is a great pose to relax in and to work on breathing in! 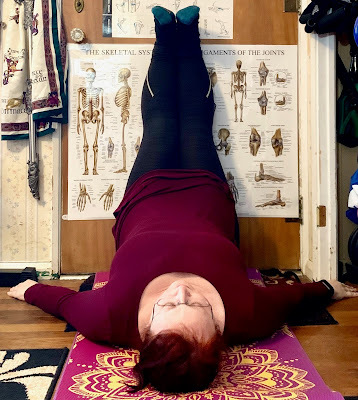 Day Twenty-Nine March Yoga Challenge - Legs Up the Wall pose (Viparita Karani). I only do this pose when it comes up in a challenge but I enjoy it and like relaxing into it. Day Thirty March Yoga Challenge - Balancing Table/Bird Dog pose (Dandayamna Bharmanasana). I don’t normally do this pose in my yoga stretch but I do include it as a warm up exercise for my pull days. Day Thirty-One March Yoga Challenge - Corpse pose (Shavasana). 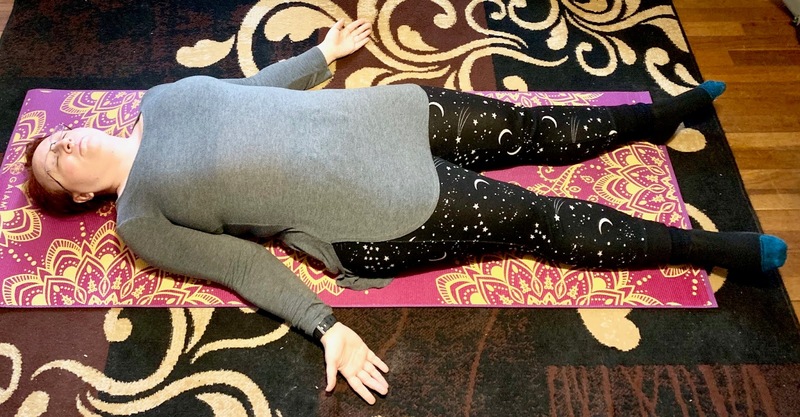 This pose is great for relaxing at the end of a yoga sequence and is part of my post-workout stretch.